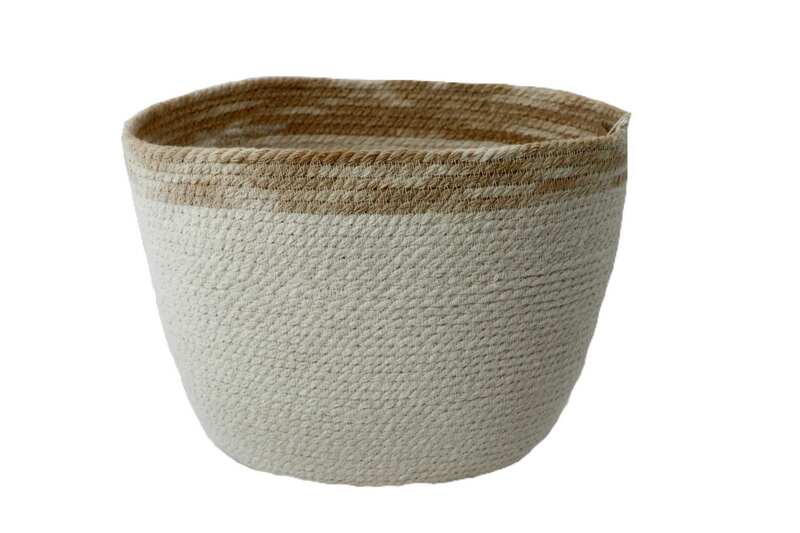 This storage vessel is made of natural cotton rope that is carefully coiled and stitched. It is a beautiful object on its own but is also great for storing fruit or bread in the kitchen, toys or yarn. Hand made in London by Rope Works.